Welcome to Guy & Beard. We are a Scottish based company established in September 2017. 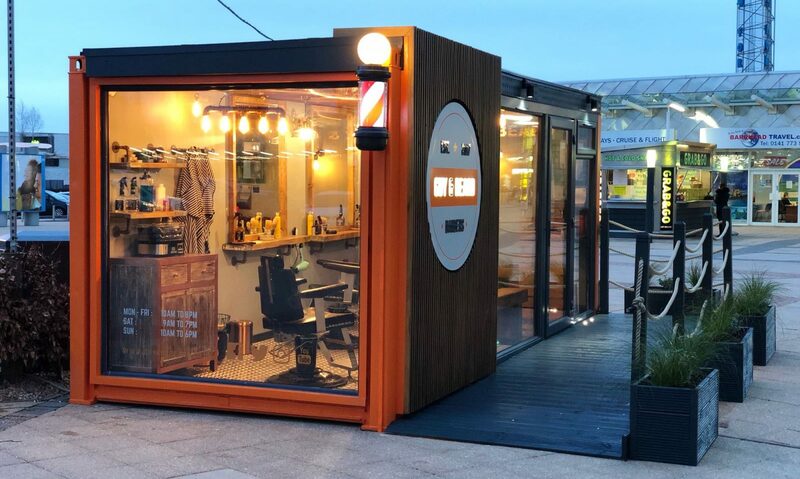 Guy & Beard is a new concept barbers that are located in up-cycled shipping containers. We provide cutting edge barbering at affordable prices in convenient locations with free parking. We are a Scottish based company established in September 2017. Guy & Beard is a new concept barbers that are located in up-cycled shipping containers. We provide cutting edge barbering at affordable prices in convenient locations with free parking. You can contact us on contact@guyandbeard.co.uk / Unit 3, 151 Balmoral Street, Glasgow G14 0HB.